Remember last year, e3's most hyped announcement was the XBOX that turned your whole body into a Wiimote? Is it all we dreamed it would be? Check out the review from EW.com insider. "After a year of speculation anda blockbuster presentation last night, Microsoft officially revealed (most) of the important details surrounding its motion-control camera — once dubbed Project Natal, now called Kinect — to assembled gaming press and industry today in Los Angeles. The camera system will debut in North America on Nov. 4 with 15 launch titles and will be compatible with all current Xbox 360 consoles. Curiously, Microsoft did not announce a price for the Kinect, although gaming blog Kotaku is reporting that GameStop is charging $149 for Kinect pre-orders. " 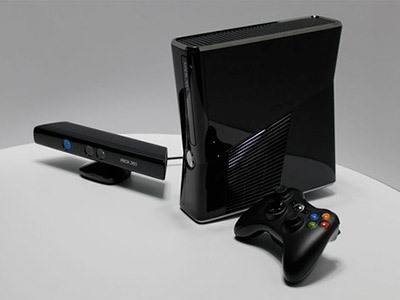 Kinect has a traditional RGB camera in it, as found in a multitude of webcams and mobile phones, and it's capable of a standard 640x480 resolution, operating at 30 frames per second. Alongside this are the depth sensors. These bathe the area in an infra-red wash, colour-coding the scene based on how far away the objects are. This is the key to Kinect's unique capabilities. Not only does it allow games to know where everyone and everything is in 3D space, but it also means that even without the RGB data it can operate just fine in any lighting conditions - even pitch black. The depth map is the most crucial weapon in Kinect's arsenal, and it can also be integrated with the traditional RGB webcam image in a process known as registration, although the integration of the two planes together does incur a small additional CPU load. However, even without registration, we can see that developers are making use of it in the launch titles, visualising it directly into the game. 480p at 30fps is Wii terrerory, a bit disappointing. The depth sensors is what probably saves this device. The PS3 moves needs those color balls in the controllers to tell where the player is, but on the 360, regardless of the light settings, Kinect will know where you are. Sort of like Hal.